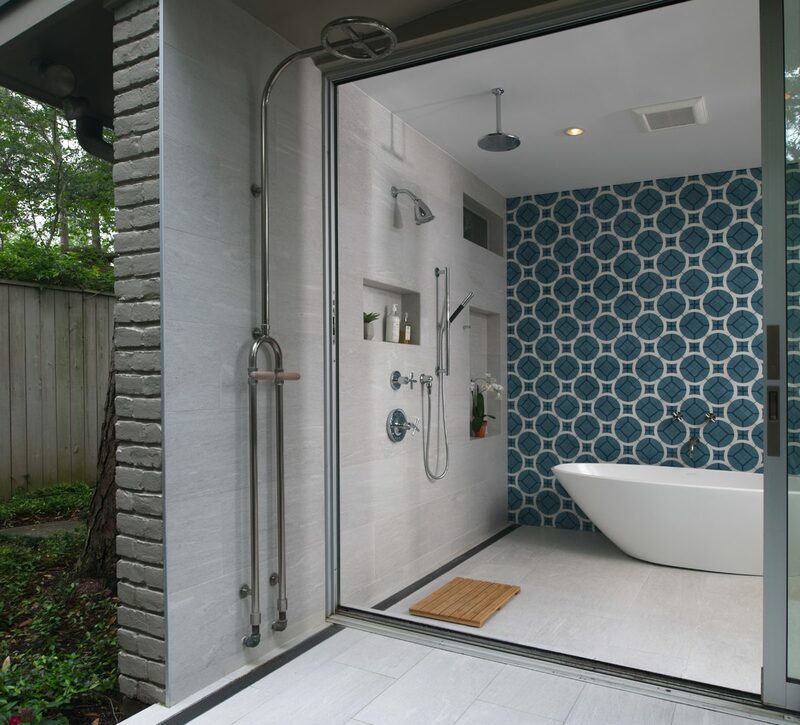 Our clients called on us to redesign the master suite of their mid-century home in Houston’s Memorial area. Although the space was amply sized, it badly needed updating. Our clients also wanted to find a way to integrate the interior spaces with the adjoining outdoor patios. 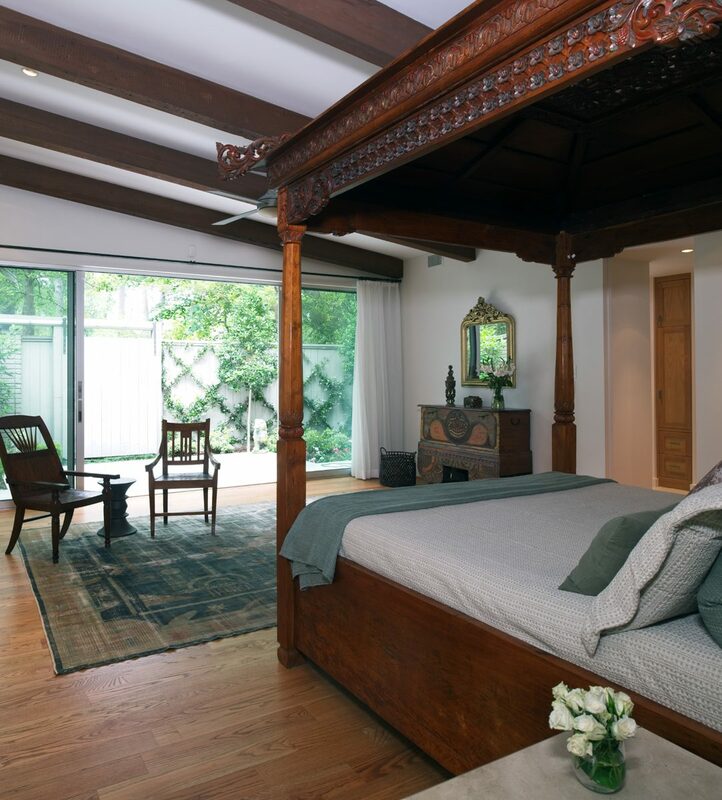 In addition, they owned many Southeast Asian antiques from their years living in Indonesia, and wanted to integrate these into the project. 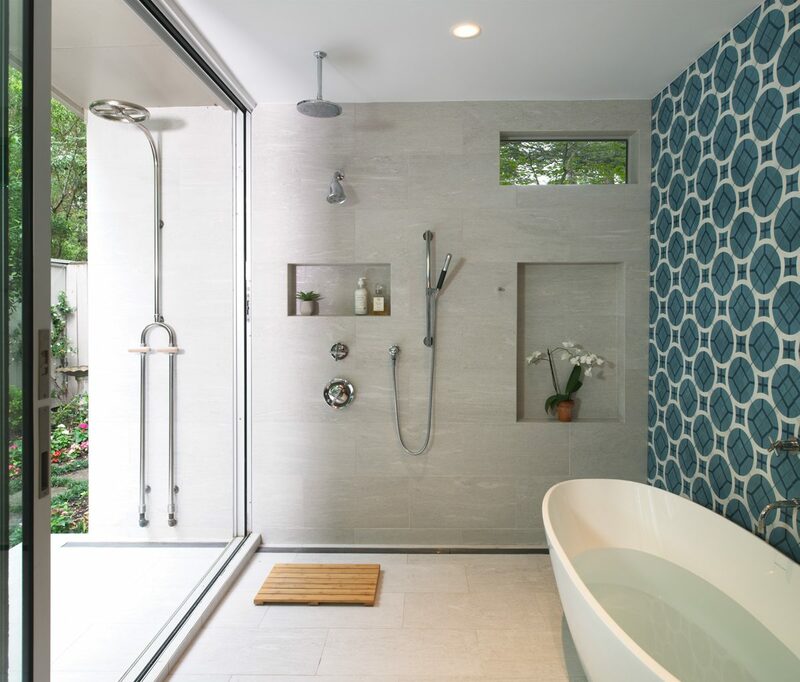 To bring the outdoors in, we introduced large retractable doors in the bedroom and bathroom, while enclosing the exterior spaces with fencing for total privacy. 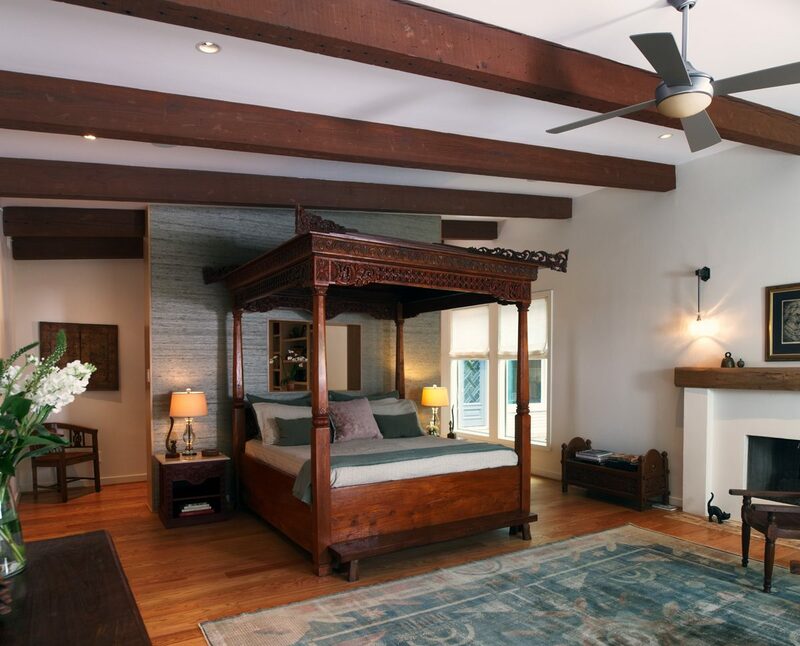 We vaulted the bedroom ceiling into the attic space, and added exposed beams spanning the width of the room. 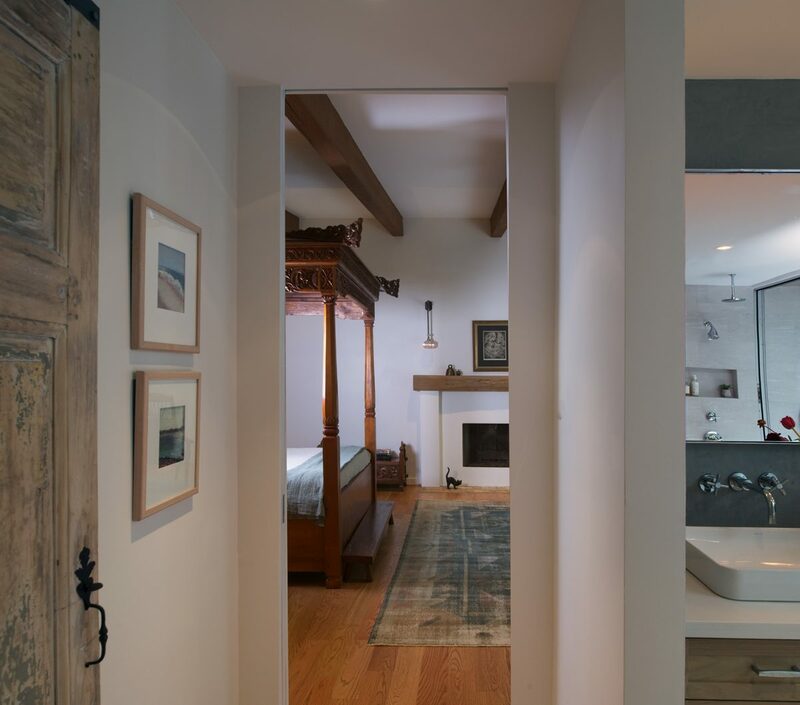 We complemented our clients’ beautiful antiques with an antique Khotan rug, sage-colored grasscloth, a custom fireplace surround, and custom sconces. 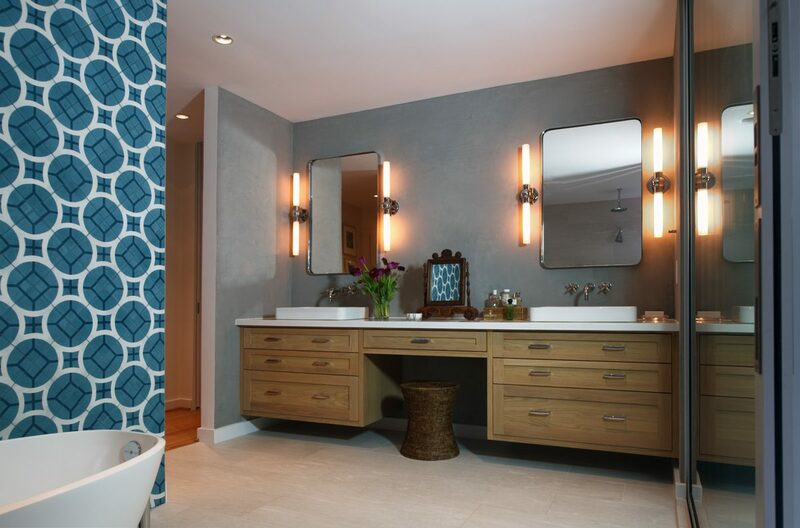 In the bathroom, which features a continuous flow between indoors and outdoors, modern fixtures are juxtaposed with Moroccan wall tiles and cement walls at the vanity.